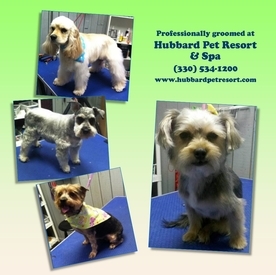 Hubbard Pet Resort & Spa is known as the premier dog groomer and cat groomer in Youngstown, Ohio, and Hermitage and Sharon, Pa. We have three professional groomers on staff and offer evening appointments to accommodate your busy schedule. The items below reflect our standard pet grooming services. If you have a special request, or if you'd like to make an appointment, give us a call and we'll be happy to be of service. Call us at (330) 534-1200. Now Offering Evening Grooming Hours! Looking for an evening groom for your pet? Are you a shift or day turn worker? We now offer weeknight grooms by appointment! Last pickup is at 8 p.m. Call us at (330) 534-1200 for details or to make an appointment. 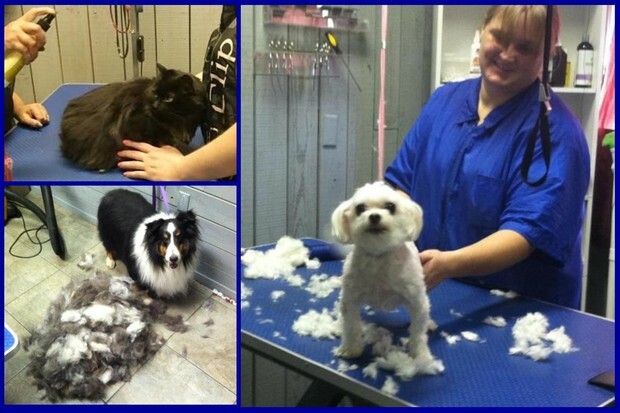 Dog Grooming, Cat Grooming, Pet Grooming for Youngstown, Ohio; Warren, Ohio; Hermitage, Pa.; and Sharon, Pa; serving the entire Mahoning Valley and Shenango Valley region.